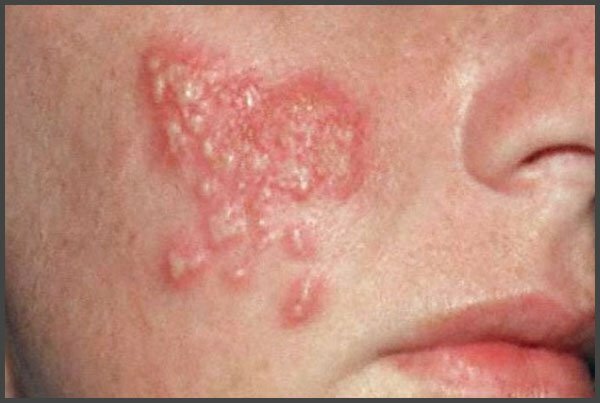 The localization of the rash on the face like in the picture is considered more characteristic of children and young people. 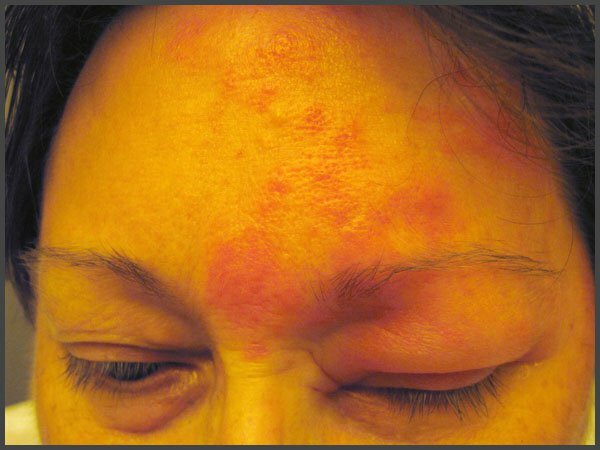 Itching rashes on the face that hurt when touched require urgent diagnosis (symptoms are similar to those of ringworm and a number of other diseases) as well as qualified treatment. 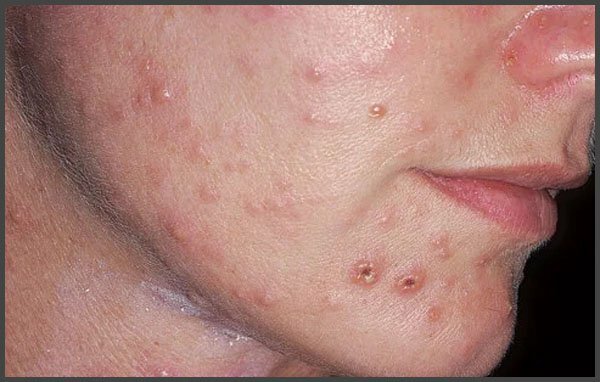 As a rule, in case of proper treatment all traces of the disease disappear from the skin, whereas the absence of treatment can lead to skin affection to a considerable depth. 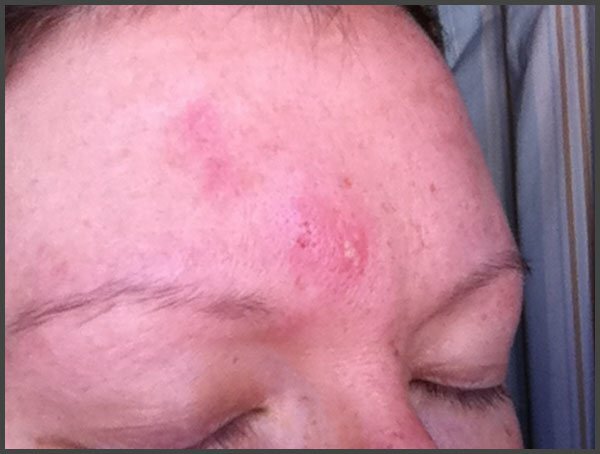 As a result the traces of the rash remain even months later.